Only about 2% of the population in Hong Kong has their eyes checked up regularly each year. Far less than the 30% of some advanced countries. Visual problems are particularly serious in the elderly with eye diseases and children with myopia. In fact many of these problems can be controlled and even fully recovered if they are detected and treated early. 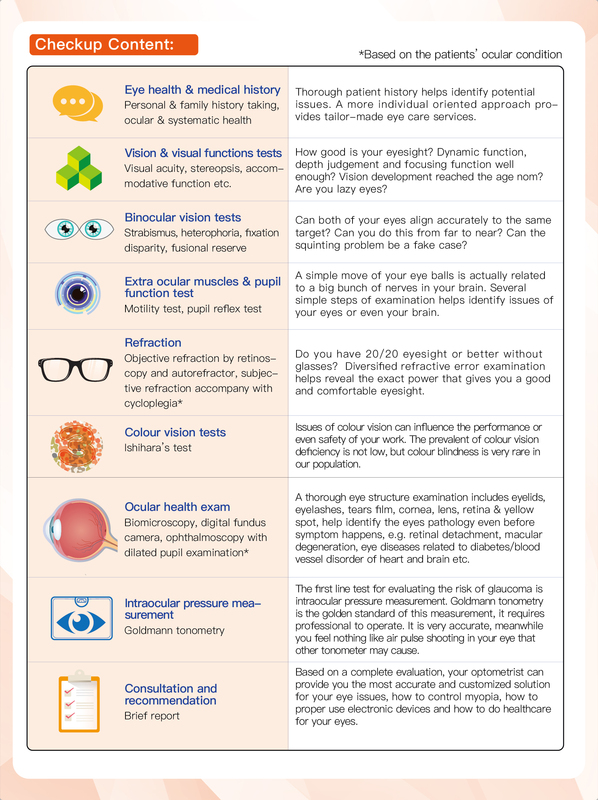 Therefore, it is important to have detailed visual and eye examination on a regular basis. Sense of vision is not innate, and its golden period of development lies in the infant and toddler stages. Healthy development of the eyeball is only the primary condition, good operation and application are also crucial. At this stage, your baby is too small to know what normal vision is. Our consultant optometrist can help to find out problems like congenital eye problems, vision dysfunction and provide professional advice. This is especially important to premature babies and parents with eye problems. Infant and young children’s eye examinations are never too early. It is only a misunderstanding of many parents to wait until the child has certain expressions and cognitive ability. As for the average child, the first eye examination should be arranged before the age of 4. Nowadays, schoolchildren’s life is inseparable from a large number of books and the use of a variety of electronic devices. Children suffer from myopia are getting younger and younger. The myopia also deepens faster. So, as for schoolchildren, it is utmost important to have the awareness of protecting the eyes and vision. As for the population ages, it is very common for the elderly to have an impact on the quality of life and self-care ability due to eye diseases. Even more so, it is unfortunate that home accidents are caused. However, many common eye diseases that often lead to blindness of the elderly, if detected early, can be controlled effectively and even cured completely, such as glaucoma and maculopathy. Many of the discomfort and vision problems caused by normal aging of the eyes can be improved through appropriate medical, optical equipment and lenses. 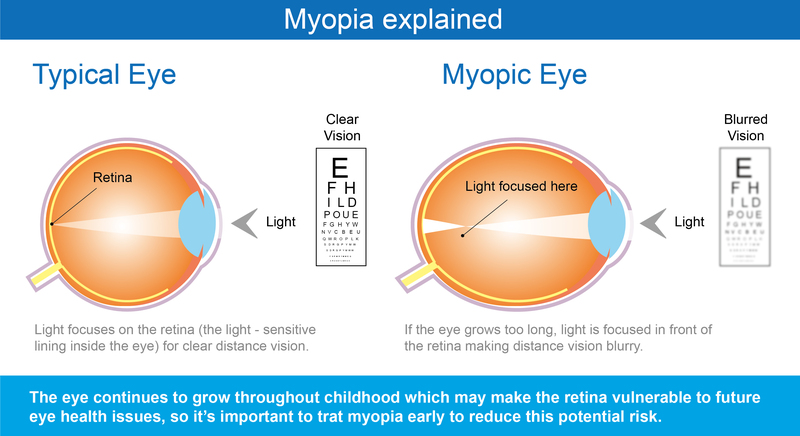 The main reason for myopia is that the eyeball is elongated. Excessively elongated eyeballs, in addition to obscuring vision, increases the chance of suffering from eye diseases such as retinal detachment, glaucoma, and cataract. Myopia control is to suppress or slow down the elongation of the eyeball and the deepening of myopia. Common vision problems in children include amblyopia (lazy eye), squint, coordination and difficulty in focusing. Eye masking, wearing glasses or surgery, although helpful, may not be necessarily the best solution. We will design a personalized treatment course for different problems, so that the patient’s vision function will return to normal, learning efficiency and quality of life will be improved as well. Dyslexia is one of the most frequently overlooked sensory function problems. Symptoms like children resisting school, weak concentration, abnormal fatigue after reading, difficulty in distinguishing graphics, color, and often missing words, glyph inversion, relying on finger-assisted reading and so on are often closely related to the development of visual senses. However, parents often mistakenly think that their children are lazy or unwilling to learn. When the above situation is encountered or if the child’s development is suspected to be slower than the same age, it is necessary to conduct an assessment as early as possible. This will be of great benefit to the development and learning of the child. Glaucoma is a collective term for eye diseases in which the optic nerve and retinal nerve fibers are permanently destroyed. Glaucoma has a close relationship with high intraocular pressure. If the optic nerve is damaged, it will lead to visual field defects. In severe cases, blindness can result. In the diagnosis of glaucoma and follow-up progress, it is necessary to measure intraocular pressure, optic nerve head, anterior chamber angle, visual field and retinal nerve fiber layer analyze. Diabetes eye is one of the complications of diabetes. It should be checked regularly after diagnosis of diabetes mellitus (especially type I patients). Examinations include retinal photography, dilated pupil fundus examination, lens and iris examination. Serious cases may need to do fundus fluorescein angiography. The Centre had and optician department. We will provide professional spectacle fitting service according to the eye condition, prescription degree and personal needs of each and every individual. 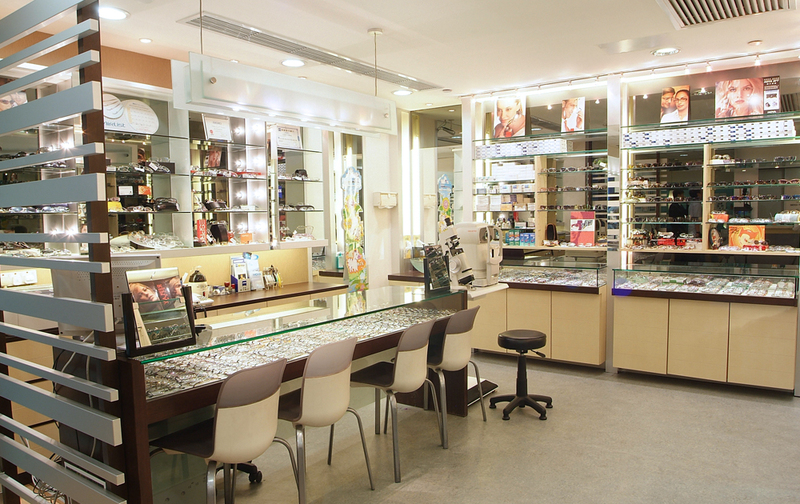 All optical products ordered are rigorously verified and follow the professional standards set by the Hong Kong Society of Professional Optometrists and the Hong Kong Optometric Association to ensure quality. UMP Eyecare and Optometry Centre is an accredited service provider of medical voucher scheme. Elders with medical voucher can use it to pay for inspection fees. If corrective vision is needed, the elderly can pay for prescription glasses. The optometrist will first exam the refraction for the patient and accurately analyze the corneal curvature with a corneal topography scanner, and then recommend the appropriate lens, power, material, oxygen permeability and wearing mode. After wearing contact lenses, the optometrist will also follow the wearer’s cornea health, tears quality, contact lens wetness, movement and etc. Including deep hyperopia, myopia and astigmatism lenses, Ortho-K lenses, Keratoconus lenses, scleral lenses and etc. These are the contact lenses that are customized for special needs. For example, corneal trauma, corneal deformation/degradation, keratoconus, vision correction after laser surgery, myopia control treatment and etc.